The House of Lords Constitution Committee report published on 29th January is probably the most detailed available analysis of the European Union (Withdrawal) Bill. The report may be read via the Constitution Committee website - 9th Report Session 2017-19. This follows the committee's preliminary (7th March 2017) and interim (7th September 2017) reports. Here is the HTML version of the Bill as introduced to the Lords and Parliament has published a tracked version showing the amendments made by the Commons. Previous posts on the Report are here and here. This post looks at Chapters 5 to 7 of the report. Clause 5, if enacted in its present form, would continue as part of UK domestic law a need to keep referring back to the EU Law principle of "supremacy." The Constitution Committee Report finds the "whole approach adopted in Clause 5(1) and (2)" to be misconceived. An alternative is suggested. The Report states (para 88) - "We find it impossible to see in what sense "the principle of the supremacy of EU law", set out in clause 5, could meaningfully apply in the UK once it has left the EU. Following exit, there will be no "EU law" within the domestic legal system, as a central purpose of the Bill is to excise all EU law from the UK legal system. Most EU law that exists immediately prior to exit will remain within the domestic legal system in the form of retained EU law as a result of the Bill, however, retained EU law will not be EU law: it will be domestic law. As a result, there can be no meaningful sense in which "the principle of the supremacy of EU law" can apply to retained EU law, given that the latter is not EU law." The committee considered that the notion of maintaining the "supremacy principle" following exit amounts to a fundamental flaw at the heart of the Bill - (para 89). The committee went on to propose (para 93) - that retained direct EU law should be made to prevail over pre-exit domestic law by providing in the Bill that retained direct EU legislation under Clause 3 and all law that is converted into domestic law by Clause 4 is to be treated as having the status of an Act of the UK Parliament enacted on exit day. No equivalent provision needs to be made in relation to EU-derived domestic legislation under Clause 2: such legislation already has the status of either primary or secondary legislation in domestic law ... (para 94). At the time of writing, it remains to be seen whether this suggestion will be adopted. (5) Subsection (4) does not affect the retention in domestic law on or after exit day in accordance with this Act of any fundamental rights or principles which exist irrespective of the Charter (and references to the Charter in any case law are, so far as necessary for this purpose, to be read as if they were references to any corresponding retained fundamental rights or principles). Following committee stage on the Bill in the Commons, the Government published a right-by-right analysis of the Charter, which set out where Charter rights exist in other directly applicable EU law or domestic law - see the Analysis Paper 5th December 2017. The Report comments (para 119) - "The primary purpose of this Bill is to maintain legal continuity and promote legal certainty by retaining existing EU law as part of our law, while conferring powers on ministers to amend the retained EU law. If, as the Government suggests, the Charter of Fundamental Rights adds nothing to the content of EU law which is being retained, we do not understand why an exception needs to be made for it. If, however, the Charter does add value, then legal continuity suggests that the Bill should not make substantive changes to the law which applies immediately after exit day." Government provides greater clarity on how the Bill deals with the general principles and how they will operate post-Brexit." This takes us to Clause 6 of the Bill which was looked at in a previous post (12th August 2017). The Report begins by noting (para 124) - "The separation of powers is a fundamental constitutional principle. Parliament makes the law and the courts interpret and apply it. However, in order for the separation of powers to operate effectively in this regard, Parliament must properly play its part. That means, among other things, that legislation must be sufficiently clear. A risk attached to any uncertainty in the law is that courts will be required to fill gaps, which may engage them unavoidably with political or policy decisions." "As we set out in the preceding chapters, the creation of retained EU law by the Bill will introduce uncertainties and ambiguities into the law. These will be compounded if the Bill does not direct the courts clearly as to how they should go about the task of interpreting retained EU law." The Bill draws a distinction between pre-exit and post-exit CJEU case law. Interestingly, the Committee's earlier report (March 2017) sought to persuade government to avoid this distinction. be decided, so far as that law is unmodified on or after exit day and so far as they are relevant to it - (a) in accordance with any retained case law and any retained general principles of EU law, and (b) having regard (among other things) to the limits, immediately before exit day, of EU competences." At paras 129-131 the Report considers this and concludes that the Bill takes a clear and sensible approach to the applicability of pre-exit case law once the UK has left the EU. 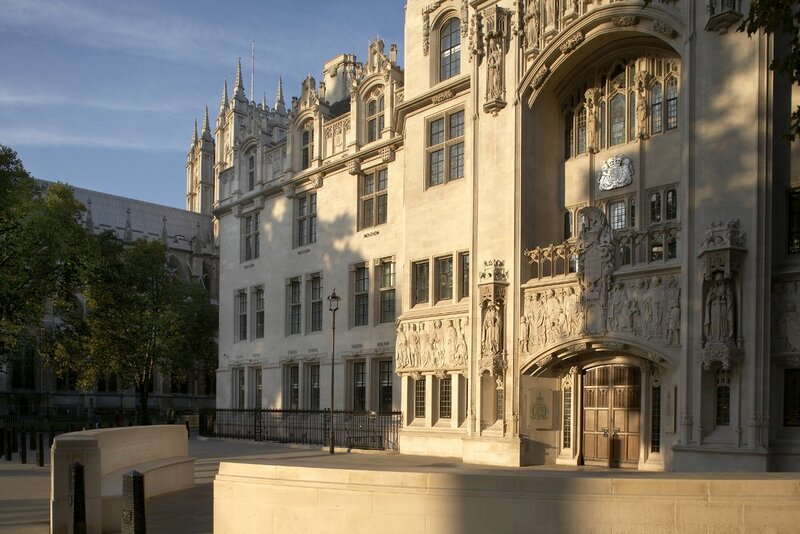 Senior members of the judiciary and others had raised the need for Parliament to tell the courts what they should be doing about judgments handed down by the CJEU following exit day. 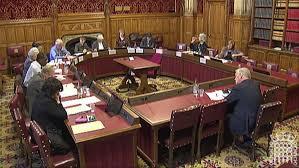 The judges clearly seek to avoid future accusations of making policy decisions which ought to be made by Parliament. The report has a good discussion of this at paras 132 to 139. The committee commented (141) - "The Bill leaves it to judges to decide when it is appropriate to be guided by post-exit CJEU case law—and, when it is, what amount of weight should be ascribed. We are concerned that the Bill leaves courts without proper guidance on this fundamental question of policy and that, by deciding to attach weight or indeed not to attach weight to post-exit CJEU cases, judges may become involved in political controversy." and at 142 - "We recommend that the Bill should provide that a court or tribunal shall have regard to judgments given by the CJEU on or after exit day which the court or tribunal considers relevant to the proper interpretation of retained EU law. We further recommend that the Bill should state that, in deciding what weight (if any) to give to a post-exit judgment of the CJEU, the court or tribunal should take account of any agreement between the UK and the EU which the court or tribunal considers relevant." It appears to me to be very doubtful whether this will enable the judges to avoid political controversy! The Report recommends (para 144) that the Government's statement accompanying regulations which modify retained EU law should also provide an explanation of the intention of the modification. This would then guide the courts in applying Clause 6(3). (b) having regard (among other things) to the limits, immediately before exit day, of EU competencies. The report further recommended removal of the words (among other things) since there is no indication as to what other things may be relevant. Paras 147 to 154 discuss the position regarding "Pending Cases" - this is not considered further here. Finally, paras 155-156 refer to the possibility of a transition period. The scheme for interpreting CJEU case law post-Brexit does not take into account the possibility of a transition period. It appears that the government thinks that this should be addressed in a further Bill - the Withdrawal Agreement and Implementation Bill. The report simply states that the government will need to provide for the operation of retained EU case law and its interaction with the CJEU in that further Bill.